When they opened Fusion Korean Restaurant in 2009, husband and wife Chang and In Kim created an unassuming and modest place where patrons could get authentic Korean cuisine that explodes with flavor, as well as Chinese- and Japanese-influenced offerings. Chang says his restaurant, which is located in the middle of Airway Heights, caters to those stationed at Fairchild Air Force Base: Some 70 percent of his business comes from servicemen and servicewomen, partially because so many of them have spent time in Asian countries. 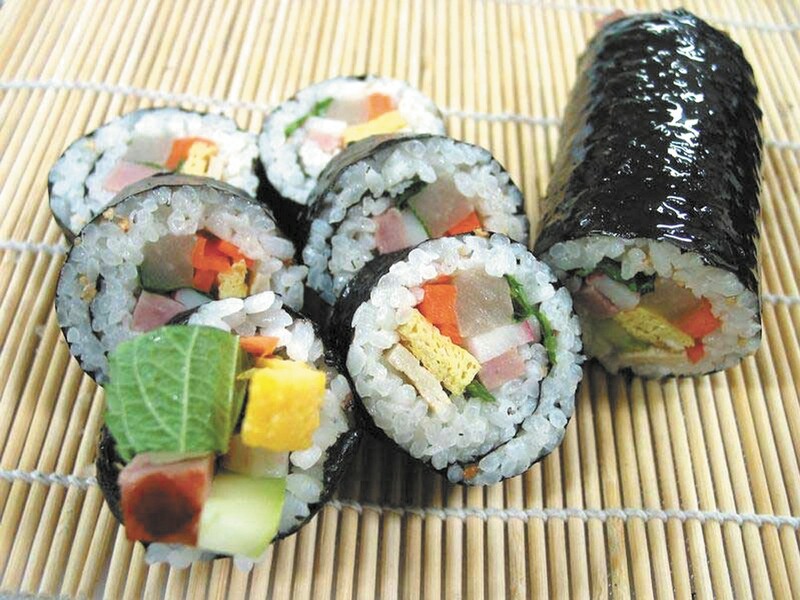 To whet our appetites, my guest and I shared an order of chicken kim-bap ($4), a Korean roll similar to a California roll, with cucumber, rice delicately seasoned with sesame oil and salt, crunchy carrots and danuj, a pickled radish that was surprising and delicious. We decided to share an order of bul-go-gi ($11), one of the most popular dishes in Korea, which is made from thinly sliced beef that is marinated in sesame oil, garlic, green onions, sugar, black paper and soy sauce. The bul-go-gi was served with side dishes, including bean sprouts, cucumber salad and kim-chi, creating even more permutations for each bite. For a second main dish, we opted for the traditional dol-sot bi-bim-bap ($10), a delectable mixed rice dish with beef, a range of vegetables and a fried egg. It’s all served in a heated stone bowl coated with sesame oil, which quickly turns some of the steamed rice crispy. To my plateful, I added the secret scratch-made hot sauce, which is a balance of spicy and sweet. Despite the mercury rising to obscene degrees outside, I couldn’t leave without trying this restaurant’s take on kim-chi ramyun ($7). You shouldn’t either: Heat, in both culinary meanings, is something this restaurant does exceedingly well. The wait staff is happy to help make recommendations for Korean-food newbies, but whether you know your way around the menu or not, a meal from this restaurant — take-out or dine-in — will leave you feeling a little closer to Seoul.